You are getting single/Multiple excel files in source folder. The excel file can have single sheet or can have multiple sheets. Each sheet in Excel follow a pattern ( template). On each sheet we have two tables. In my example I have Customer Table and Product Table as shown below. We need to read the data for these tables and load to SQL Server Tables. Pay close attention to row number from which the tables start, the column start and end. Take a detail look on sample excel sheet. The same way you need to have information for your excel sheet. The data rows can decrease or increase on each sheet but structure should not be shifted up or down. Our SSIS Pakcage will be able to load multiple excel files with single or multiple sheets. Once again, keep it mind the header rows should be fixed for each table and it should be always on same column numbers. 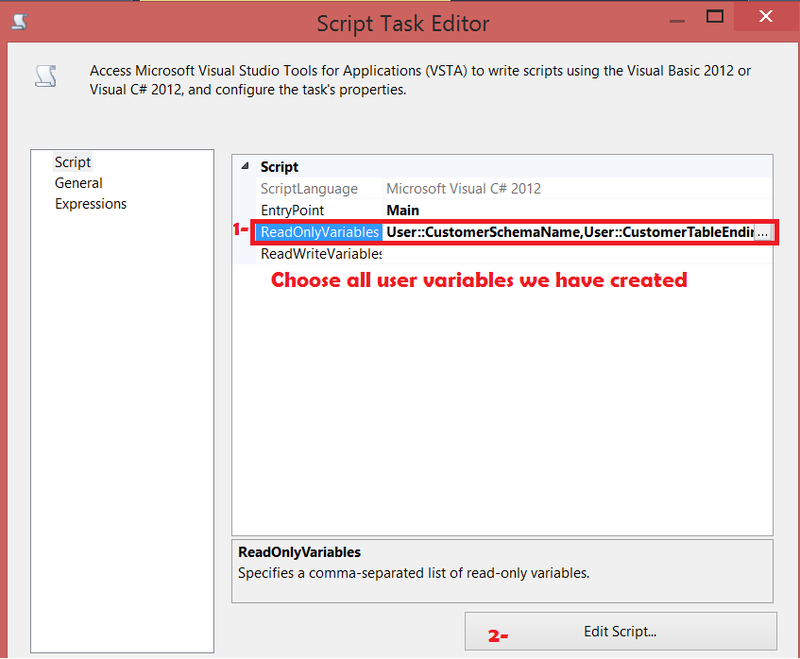 We are going to use Script Task in SSIS Package to load multiple tables from Excel sheet to SQL Server Tables. I need two tables as I have to load Customer and Product Tables from Excel Sheet. You will be creating tables according to your data in excel sheet. You will be creating set of variables for each table. As I have only Customer and Product Table, I have created two sets of variables. If you have more than two tables, you will be create a set of variables for third table and so on. Folder Path: Provide the folder in which our excel files will be placed or dropped. I am going to type all variables for Product. But they are shown below. Once again, for every new table we have to create same set of variables as we did for Customer. Create ADO.NET Connection Manager so we can use in Script Task to Load data from Excel Sheets to SQL Server Table. Save the script in Script Task Editor and close the window. Execute the SSIS Package and it should load SQL Server Tables from different Data regions from an Excel Sheet. If all the values in a row are Null, that row will be removed. I ran the package for above sample file and here are my results.